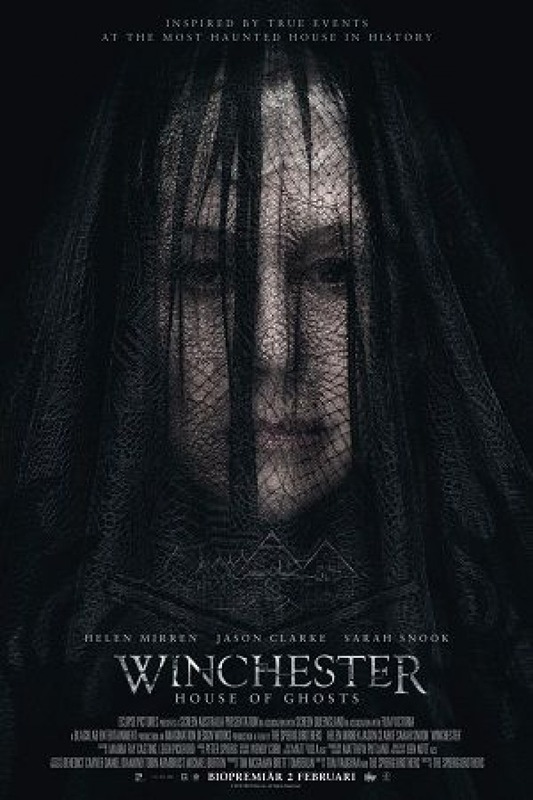 You wouldn’t think to use the word timely to describe a horror movie about a place known as the Winchester Mystery House wherein a black lace-veiled woman feels the presence of ghosts and locks them away in specially built rooms with thirteen nails, but here we are. The reason stems from why this woman does what she does. She is Sarah Winchester—the widow of the son of the founder of the Winchester Repeating Arms Company—and she believes her family is cursed. To hear her say it, every victim of one of her namesake’s weapons remains on our plane of existence in search of someone to blame. Rather than point their ire at their killer, however, they seek her out as ultimately responsible. So while we find ourselves numb to the repeated acts of domestic terrorism within public sectors of our communities—blaming symptoms and intent while ignoring the ease in obtaining the tools used to satisfy both—Sarah feels the guilt of every single bullet in her soul. She would use her fortune to build the aforementioned house in San Jose, California as a refuge for those troubled spirits. They would “speak” to her when the clock struck midnight and she would draw plans for the room in which they died. Her round-the-clock construction crew would build the room so its spirit could return to the scene and decide whether or not to move on. If they leave, the room is destroyed for another. If they remain, they become entombed. Well, that’s how original writer Tom Vaughan and writer/directors Michael and Peter Spierig tell it. 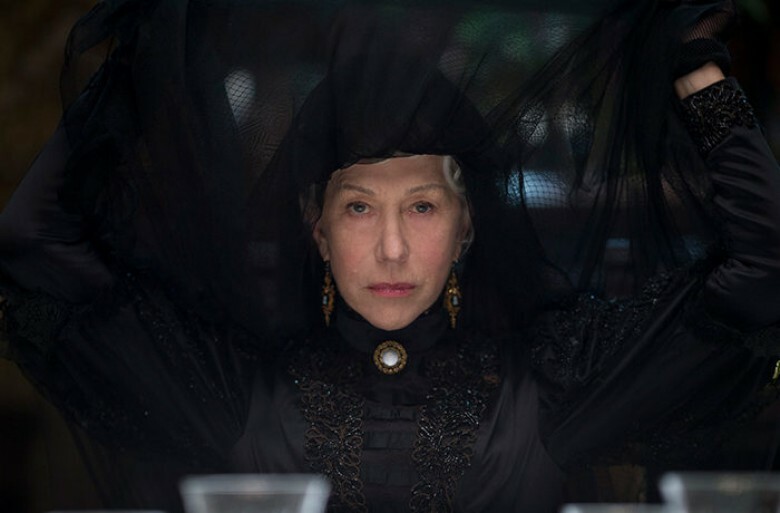 They weave a supernatural tale of malicious possession around the legend of Sarah Winchester (Helen Mirren), one in which she’s a supporting character to a specific moment from her long and tormented life. Winchester may bear her name and reside within her sprawling estate, but its star is the doctor hired by her company (men hoping to wrest away the 51 percent stake her “craziness” puts at risk) to assess her mental stability. His name is Eric Price (Jason Clarke) and the reasons he was chosen go far deeper than expertise. A scar on his chest recalls a tragic past, and his connection to this house is much stronger than even that of its owner. Is he real? If I were to wager I’d say no, but it honestly doesn’t matter. He’s been drawn as a willing participant in the supposed scares occurring around Sarah and her recently moved-in niece-in-law (Sarah Snook) and grandnephew Henry (Finn Scicluna-O’Prey). He has his own personal demons to combat with laudanum and therefore a built-in excuse for why he’s seeing the things he is seeing. They are mostly quick glimpses of dead men as demons lurking in the shadows for jump scares that intentionally jolt him more than us. The Spierigs let a possessed Henry roam underneath a burlap bag while singing sending chills down our spine, but is it enough? Can this boy be a formidable enough foe or does he hide the evil to come? The answer is complicated because it comes at us in a rushed and somewhat incomplete manner. Much of the script’s first act seeks to create the mood within this mansion and as a result neglects to delve into the players themselves. We’re made to think the film is about Sarah and proving she isn’t insane, so we treat Snook and Scicluna-O’Prey as pawns. We dismiss Price as a sounding board stand-in to be skeptical yet open-minded. They are set-up to be voyeurs watching Sarah’s spiraling when in fact they are the ones meant to earn our attention. By the time we discover this, however, we are too far-gone to care. Rather than three-dimensional characters with complexity, importance is projected upon them because the plot realizes it’s running out of time. It’s a shame because the stuff that works does work. 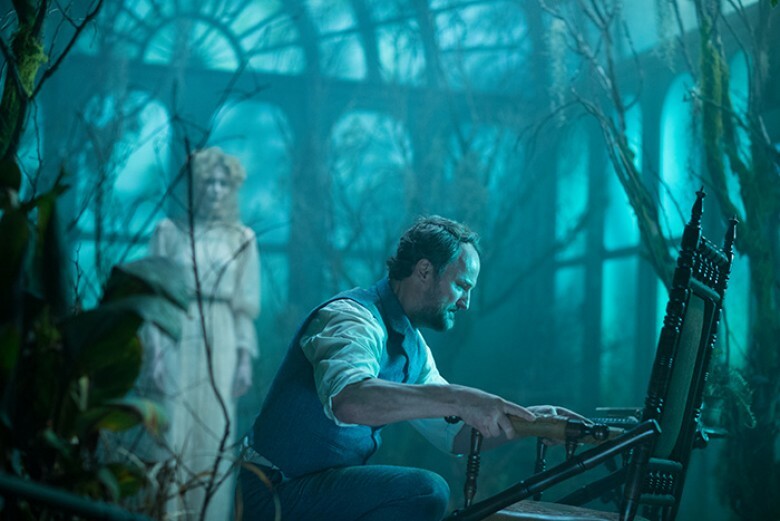 The Spierig brothers look to capitalize on the formula that made The Conjuring so successful with a more nuanced approach to hauntings born out of real-life death, but they find themselves stuck story-wise to show everything they had successfully left to our imagination. Give the casting director top marks, though, for putting Angus Sampson, Eamon Farren, and the actor who plays Winchester’s bodyguard of sorts (a recognizable face for whom I can’t find a name at the moment) onscreen together as men playing their roles creepily enough to make us wonder if they are really ghosts themselves. It’s just a shame when the evil threatening Sarah is revealed as a MacGuffin so Price’s guilt can be assuaged instead. Had the Spierigs made the film about him first and foremost, this revelation would be acceptable. But they paint him as a drugged-out womanizer cashing in to deem a crazy woman crazy. Their script is all over the place trying to let everyone involved be the star at one point or another to the detriment of all. Should we worry about Henry’s plight? Or are his actions meant to put Sarah in the crosshairs? Should we therefore worry about Sarah? And if so, do we worry about her professionally or personally? Or is she only here to let Price face his own demons long since suppressed by a haze of medication? Should we therefore worry about him most? The outsider who thinks he’s losing his mind? It's the execution that is lacking. Even this notion that Price is seeing things because of his addiction fails because the examples of his confusion are for his character’s benefit rather than ours. We never believe it’s all an illusion. The film makes certain that we know everything is “real” from the start. 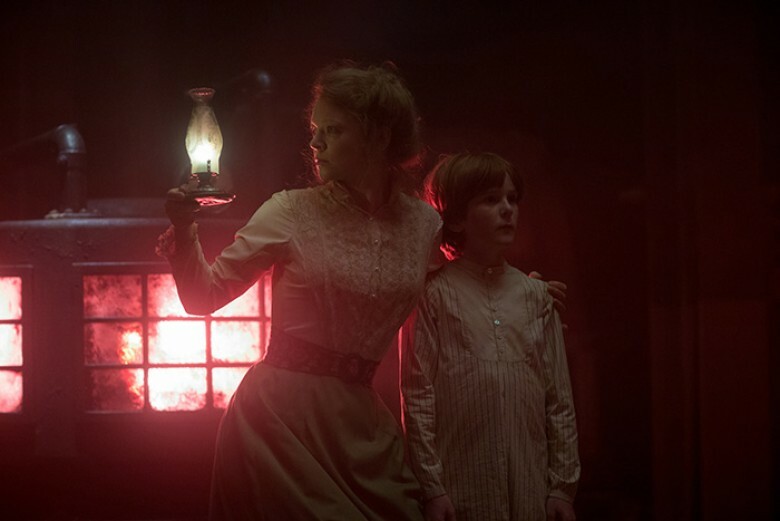 These “scares” only prolong the inevitability of his taking Sarah’s side in order to fight the spirits off once and for all. We must therefore slog through repetitive sequences meant to gradually reveal a truth we’ve already agreed upon. So we can appreciate the production value and performances of those caught within the turmoil, but there are no surprises to be had or drama to feel. Winchester might be prettier than expected, but still hollow.